We were delighted to welcome back Neil Smith to U3A Todmorden on Thursday, September 20th to talk about his adventures with his guitar ‘Beyond the Iron Curtain’ in the 1980s and early 1990s. These were the days before perestroika and the fall of the Berlin Wall, when Article 58 was still in force. For an innocent guitar-player abroad, getting along could be difficult, especially for one whose past included working as a rocket scientist in the UK. He was reminded of this by a very angry – and startlingly well informed – immigration official on entering Russia for the first time. But Neil began by telling us about the vastness of Russia. It embraces 11 time zones, where temperatures can plummet to -60 in the north, and there are camels and deserts in the south. Forests are huge, and on one occasion a coach trip Neil had taken got lost in one. The party found themselves seeking directions from an unfriendly rifle-wielding, sword-carrying non-Russian–speaking Inuit reindeer hunter. An 11,000 km highway stretches across the country from St Petersburg to Vladivostok. And you don’t stay out at night in Siberia, where if you hear gunshots it’s probably just people shooting bears. In fact everything about Russia struck Neil as extraordinary and vast, including the fact that the country lost 35,000,000 men and women in WW2. Neil had a few brushes with authority. One involved finding that his visa had expired. His papers were confiscated and then returned. But by then, he was officially a criminal. And the simple tourist act of taking a photo could easily be met by a ‘Niet photo’, and a demand for the film. The solution to this was to have a stock of cheap Russian film in your pocket, and to offer one pretending it was from the camera. But not all was bewilderingly unexpected. Neil’s guides were good company and Neil enjoyed the Russian sense of humour. For example, a man queuing for vodka is so frustrated by the wait, he sets off to kill Gorbachev. A few hours later he returns to his friend in the vodka queue. And we were entertained also by Neil’s nifty guitar playing which included ‘Dark Eyes’ (a Russian standard), and tunes which we recognised as ‘The Carnival Is Over’ and ‘Those were the Days’ which started life in Russia. Our thanks to Neil for another amusing and eye-opening afternoon. 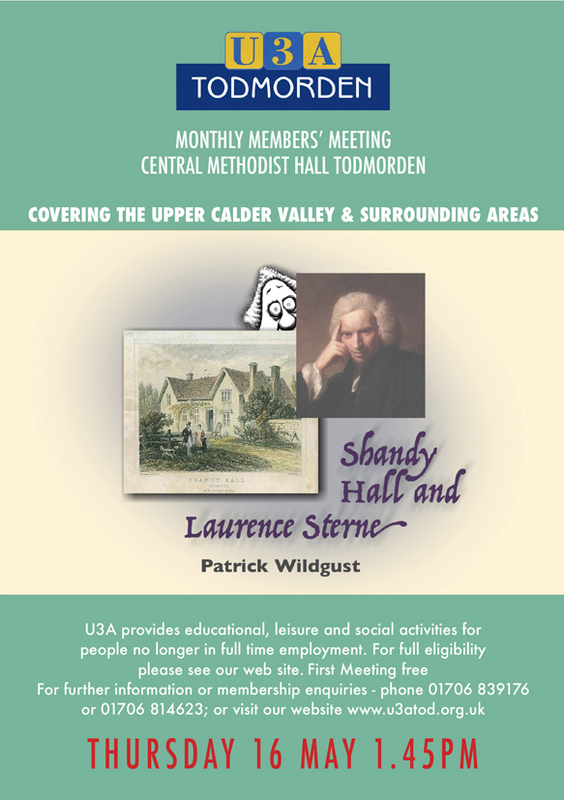 U3A Todmorden’s next members’ meeting will be on Thursday, October 18th, 2018 in the Central Methodist Church Hall in Todmorden.